We want to celebrate Sant Jordi’s Day with you! 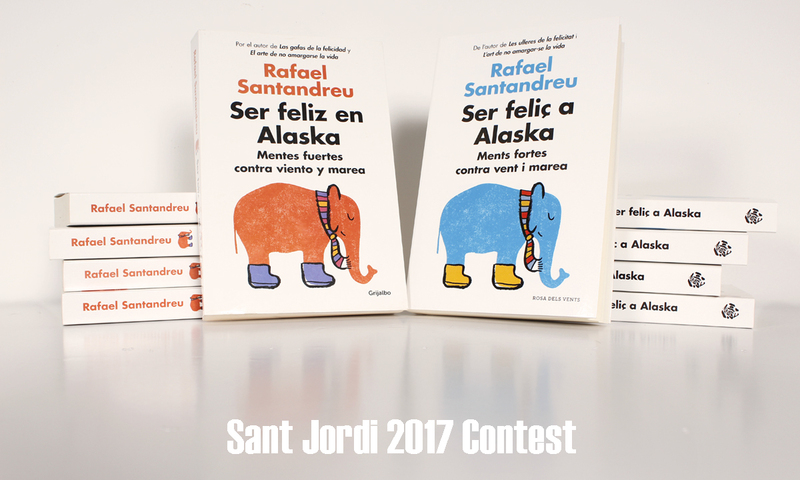 From April 12th to 19th participate in our contest on our official Facebook page to win the book Ser feliz en Alaska dedicated by the author Rafael Santandreu! The contests is really easy! You just have to visit our Facebook page, look for the contest post, make “like” on it and comment it answering the question: Who would you be happy with in Alaska? We raffle two dedicated books in Catalan or Spanish, the language choice is on you! You have time till April 19th at 2 pm. 1. Make “Like” on the post. 2. Comment the post answering the question. 3. You can follow us to be aware of all our news. 4. Stay tuned to discover the winners on our official Facebook page. The raffle will be done by Easypromos app. We will publish both winners’ name here and on our Facebook page next Thursday April 20th. Lots of luck to everyone!! !